Trump’s adviser on foreign policy Walid Phares said that US President-elect Donald Trump will take the agreement on nuclear deal with Iran, send it to Congress, demand from the Iranians to restore few issues or change few issues, and there will be a discussion. MOSCOW (Sputnik) — US President-elect Donald Trump will conduct a review of an agreement reached by Iran and international powers on Tehran's nuclear program, Trump’s adviser on foreign policy Walid Phares said. "He will take the agreement, review it, send it to Congress, demand from the Iranians to restore few issues or change few issues, and there will be a discussion. It could be a tense discussion but the agreement as is right now — $750 billion to the Iranian regime without receiving much in return and increasing intervention in four countries — that is not going to be accepted by a Trump administration," Phares said in an interview with the BBC radio on Thursday. Trump has repeatedly criticized the Iranian nuclear deal which limits Tehran's nuclear program to the peaceful purposes in exchange for the easing of international sanctions on Iran, calling it the "stupidest" deal of all time. On Wednesday, Chairman of the Iranian Parliament's Committee on National Security and Foreign Policy Alaeddin Boroujerdi said he was expecting Trump to respect the agreement on the Iranian nuclear program. 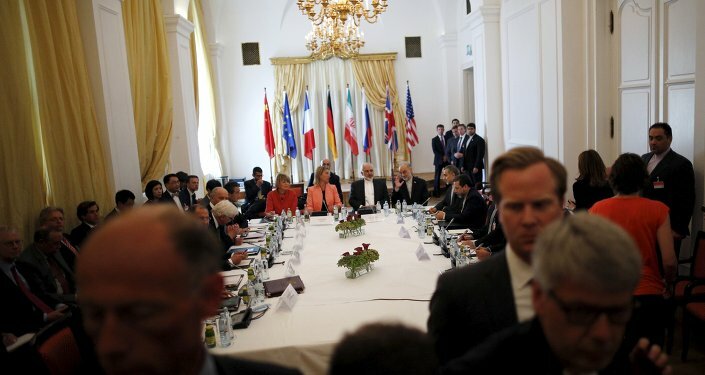 In July 2015, the P5+1 group of countries, comprising China, France, Russia, the United States and the United Kingdom plus Germany, reached an agreement with Iran to ensure Tehran’s nuclear program remained peaceful in exchange for the relief of nuclear-related sanctions. In mid-January, the sanctions were removed after the International Atomic Energy Agency verified Tehran’s compliance with the deal. Trump won the 2016 US presidential election with 290 electoral votes, while his rival Hillary Clinton received 232 votes despite winning the popular vote by a margin of over 200,000, according to CNN. The inauguration is due on January 20.